Pelham Davis Glassford, “Pelham Davis Glassford,” Histories of the National Mall, accessed April 23, 2019, http://mallhistory.org/items/show/106. Glassford was Superintendent of Police of Washington, DC, in 1932 when World War I veterans, who would come to be known as the Bonus Marchers, descended on the city. They sought immediate payment of service certificates which were not due to be paid until 1945. A veteran himself, Glassford was sympathetic to the veterans' demands He believed they had a right to protest and helped them find food and shelter. In July 1932, President Hoover ordered Glassford to evict the marchers from federal property. Although the Superintendent gave orders to hold fire, a DC policeman shot and killed two veterans. President Hoover ordered the Army to complete the eviction of the Bonus Marchers. Pelham Glassford graduated from the United States Military Academy at West Point in 1904. Upon the outbreak of World War I, Glassford was deployed to France, where in 1918 he became commander of the Fifty-First Field Artillery Brigade and the youngest brigadier general in the United States. After the war he reverted to the rank of Major and continued to serve in the Army until July 1931, when he voluntarily retired. 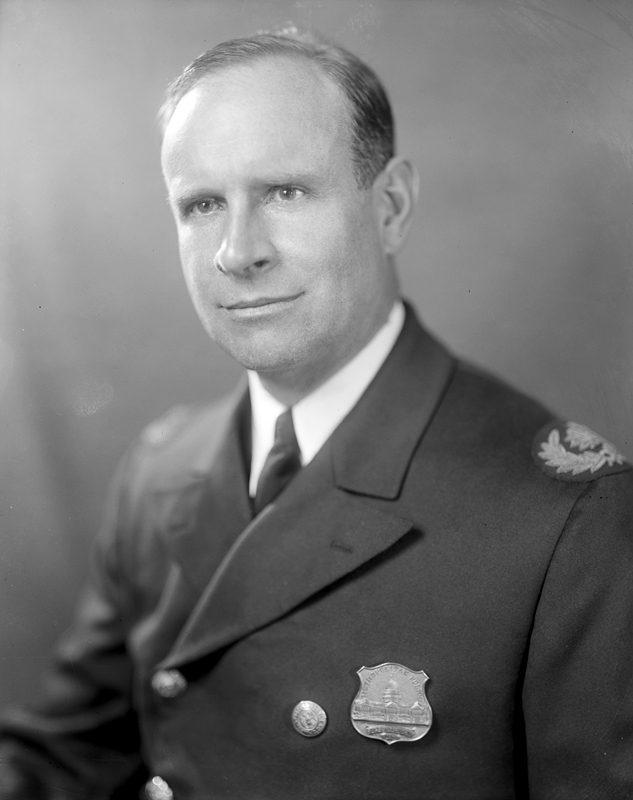 Glassford was appointed Major and Superintendent of Police, the equivalent of chief of police, in Washington, DC, in November 1931. He was frequently seen in the city riding a blue police motorcycle. Following the events of the Bonus March, Glassford was pressured to resign as Superintendent in October 1932. Shortly after his resignation, he published a series of newspaper articles criticizing President Hoover's treatment of the veterans. Glassford returned to military service for a short period during World War II. He retired for the second time to California, where he died at the age of 76. Roger Daniels. "Glassford, Pelham Davis." In American National Biograph Online. Oxford University Press, 2000.